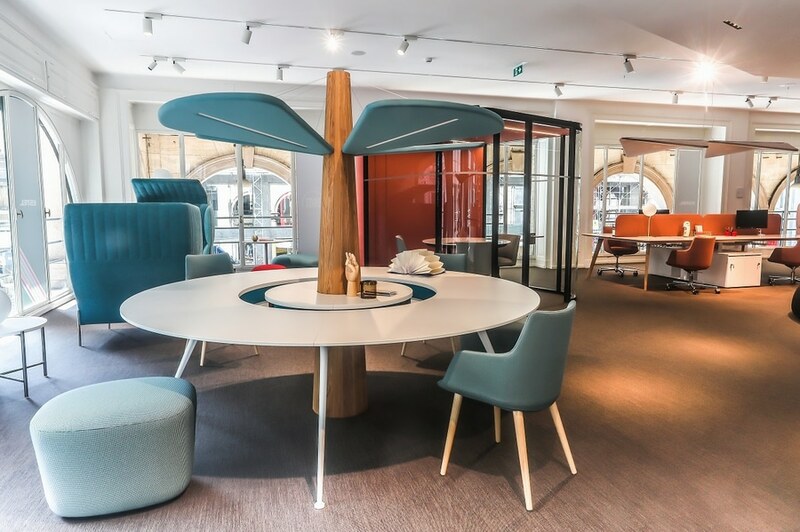 A grand opening for the new Estel Group showroom: the showroom was one of the most visited Fuorisalone exhibitions during the recent Milan Design Week. 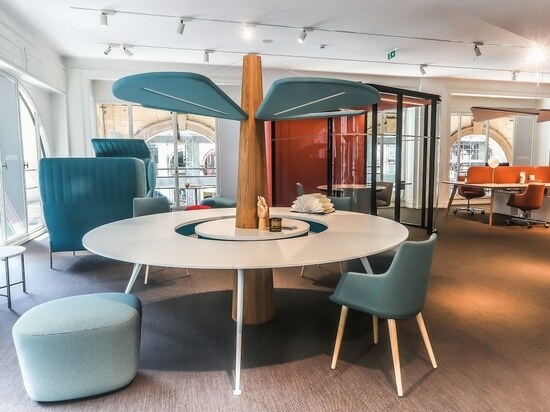 Alberto Stella, CEO of Estel Group, enthusiastically comments on the last experience of the historic Italian furniture brand during the last Milan Design Week: "A feedback above all expectations in the new Estel Showroom of C.so Matteotti 3 in Milan during the Design Week just ended. Our exhibition space - developed on a surface of 300 square meters in the mezzanine of a historical palace – has welcome hundreds of people during the first 5 days of opening. For the occasion all the latest product innovations developed by the Office and Home divisions have been presented to the public. For the office sector stand out the revolutionary 'Collaborative Room' designed by Metrica, the 'Dolly' sofas with sound insulation features - in the Chat and Eremo versions - designed by Stefano Gallizioli, the new system of modular poufs for common areas 'Jump' created by the OIL design Lab studio, the high-connectivity table 'Baobab Sharing' designed for moments of shared work, the 'Bench P45 Freestanding' workstations with legs in oak wood and the 'Evo HP' height-adjustable desks system, equipped with service containers that guarantee order and privacy. 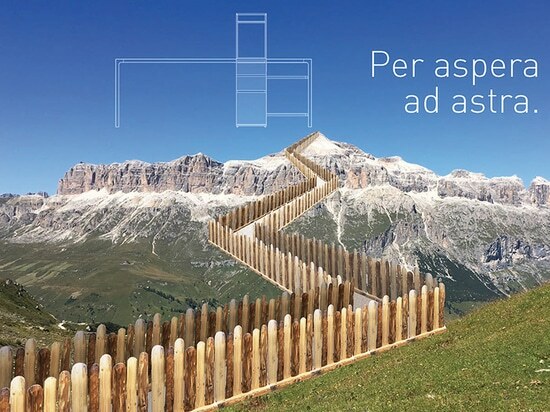 In addition the new wall partitions '3-6-9' - with a curved angle of 96 cm radius and horizontal strips – have debut on the Italian market. The Home division has achieved great success with the new 'Closet' a walk-in wardrobe, with cabinets and glass doors and the new double-sided drawer unit ‘Eureka’. 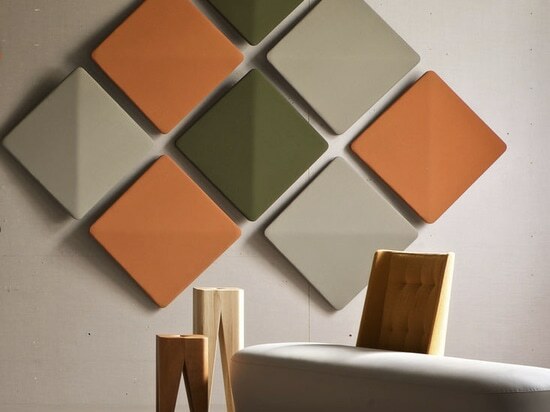 The 'Saint Barth' modular sofa in Nabuc leather, designed by Stefano Gallizioli, was also very appreciated. 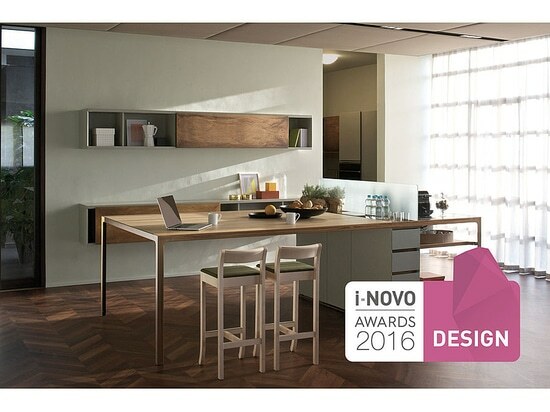 In terms of interior design the trait de union between the two divisions was achieved through a wise contamination between the home and office areas, thanks to the use of versatile products that represent one of the added values ​​of the Estel collections as the kitchen 'Isola Party' with Columns (from the Coffice catalog), the vintage table 'Cielo' with ceramic floor in marble finish created by Alessandro Scandurra, the chairs and armchairs of the 'Embrasse' line by Jorge Pensi, the sideboards Dolly 'by Stefano Gallizioli or the double-sided bookcase' Victory ', which can be positioned either in the middle of the room or on the wall. 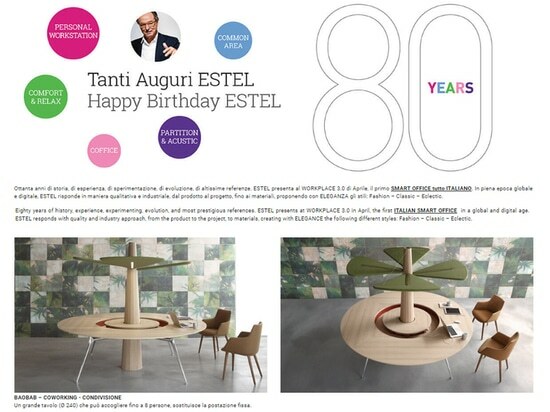 After this appreciated preview, starting from June, the showroom will become the Estel representative office in the design capital: the company will be constantly present with commercial and technical staff to welcome architects, facility managers and managers of Italian and foreign companies, in addition to all the passionate design audience who use to visit Milan's fashion district. In the meantime, for those wishing to receive information on the new Estel collections, it is possible to request catalogs or digital material through the ‘contact us’ section of the official website estel.com". Working has a new taste. The pleasure of projecting oneself in a dimension of exchange, comparison and encounter with colleagues enhances the great potential of breaks and relaxing moments.